Have you ever looked at your dull, lifeless skin and wondered how it got that way and how you could bring it back to its former glory? WaySkin is a handheld disk that, when applied to the skin, provides important information about your skin’s current needs. Babies have a knack for dropping their pacifiers in the most disgusting places. 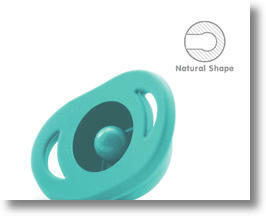 Doddle Pop is a genius pacifier created to stay clean when it pops out of baby’s mouth. There's no doubt about it; kids love to help out in the kitchen, but putting sharp tools into little hands is rather terrifying. 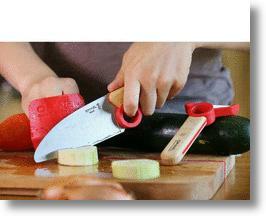 On this note, Opinel has come up with a set of kitchen tools designed specifically to protect tiny fingers. A lot of reusable bottles have very narrow openings. They certainly aren’t wide enough to cram your hand in there and scrub all the nooks and crannies. One option is to get a new bottle, but instead you could pick up some magic beans. 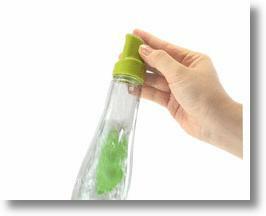 Bottle Cleaning Beans are specially designed bottle scrubbers. Squeeze tubes of fruit and veggie puree are the way to go when you have a little one in tow, but those handy packs can really add up when your baby is sucking them back on a regular basis. 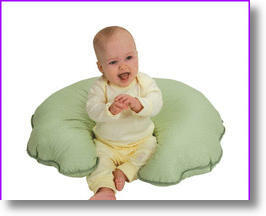 The Infantino Squeeze Station allows parents to easily prepare their own baby food pouches. 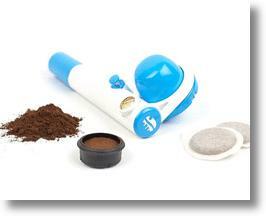 The Handpresso Pump Pop is the answer to your java loving, wanderlust dreams. With its lightweight, compact design, the Handpresso Pump Pop makes it easy to have a spectacular cup of espresso anytime, anywhere. If someone in your life is having a new baby and you’re looking for a particularly unique and handy gift to give, there are an overwhelming wide variety of options. In fact. there are many choices that narrowing it down can be a challenge. Here, we’ve sifted through the baby extras to provide a list of some of the coolest, less well-known but best-reviewed baby and parenting gear available. If you have been longing to capture yourself stuffing your piehole, then you’re in luck. 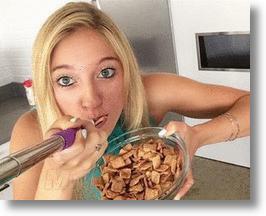 The Selfie Spoon takes all of the worry out of having to coordinate feeding yourself, holding a camera and trying to maintain a natural eating pose. Researchers in Jerusalem have developed an innovative microfiber pad that can greatly improve the diagnosis for urinary track infection by aiding in the collection ofsterile urine samples. 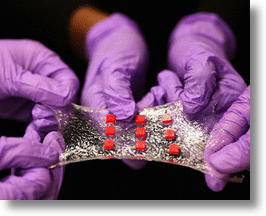 Read on for more on this exciting medical innovation. 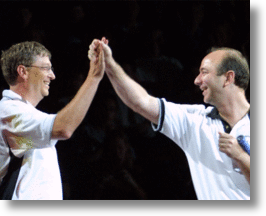 Bill Gates and Jeff Bezos from Amazon.com have donated $1 million to fund Grail, a company that has developed a new blood test that will allow an even earlier detection of many kinds of cancer than that which is currently available. 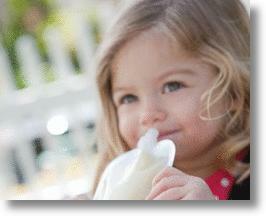 Read on for more information about this amazing boon to the health of all mankind. Meet Irish-born, J.W. 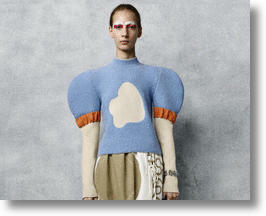 Anderson, one of fashion's most important and original fashion designers. His works are provoking and contradictory, far out and yet cemented in time. Read on for more about this fascinating young man and his work. Meet the micro-supercapacitor, which is a big word for a tiny wearable electronic device that packs a high density charge. 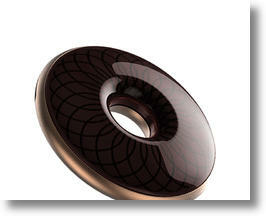 Read on for more on this amazing new wearable power source that may make the standard battery a thing of the past. Meet the team of MIT reserachers who developed an amazing smart bandage that may well revolutionize medical tech and fitness hardware by its ability to detct infection and dispense medication. 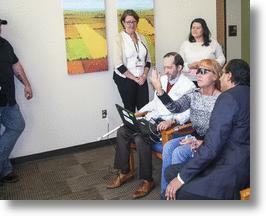 Meet a brave woman from Colorado who thanks to a new bionic eye,can see her own son for the first time in years. Keep some Kleenex nearby. Indulge Yourself -- Eat Your Face! These days we seem to be obsessed with photographing everything -- especially ourselves. We love this so much that they added a word to the dictionary just for it. The "selfie" was born. 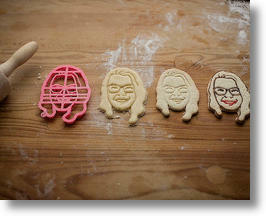 Now you can take your favorite selfie, or other photo, and have it made into a cookie cutter like no other. Imagine the affordable luxury of getting to bake cookies in your own likeness and eat it too. Not too narcissistic, is it?